get $100 off THE LIVE Loctician Certificate CouRSE here! BECOME A NATURAL DREAD LOCTICIAN AND ENJOY THE FREEDOM LIFESTYLE YOU DESERVE! HOW TO ENROL in the live loctician course WITH $100 OFF! 1. PAY YOUR DEPOSIT BY CLICKING THE BUTTON ABOVE WHICH GOES THROUGH TO PAYPAL.ME. Just click that you're paying friends & family or a fee is charged. Once paid, your place in the course is guaranteed! The deposit is usually $600, but as you have received this special offer it's only $500. That's where your $100 has come off the course fee! Please read the cancellation terms below, because now you're committed! So be sure you can make it! This is for the LIVE course. 2. Download the enrolment form below. Fill & Sign using Adobe Reader online. Save with your name. 3. Download and sign the Terms & Conditions and Liability Waiver. Save with your name. 4. Send both the liability waiver and completed enrolment form back to: training@divinedreadlocks.com with “ ENROL IN NEXT 3DC & your name” as the email subject. ** If you're not tech savvy and find it hard to use Adobe reader to Fill & Sign the forms online then just print them out, fill them out in black or blue pen, take a photo with your mobile & email it to the above email address using your mobile. Please DON'T send enrolment details in a Facebook or Instagram message. The deposit is only fully refundable if you cancel more than 6 weeks in advance so there is a chance to fill your place in the course. There are no cancellations allowed within 6 weeks of course start date, however, if you need to defer your course date due to unforeseen circumstances that genuinely prevent you attending (such as severe illness or accidents) there will be a $200 cancellation fee deducted from your deposit for income lost, unless you can fill your place, or by luck, I can fill your place. If your place is filled then you will receive the deposit back minus a $50 fee for admin time and costs. You can assist in filling it by telling others. 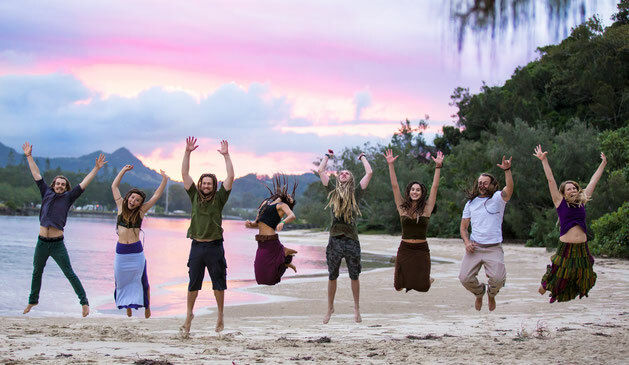 DO NOT ENROL IF YOU ARE UNSURE of WHETHER YOU ARE READY TO START YOUR OWN LIFESTYLE OR TRAVEL BUSINESS AS A DREAD LOCTICIAN OR YOU HAVE NOT WORKED OUT IF YOU CAN MAKE IT! I WILL TRANSFER YOUR DEPOSIT TO THE ONLINE COURSE IF YOU CAN'T MAKE IT LAST MINUTE DUE TO A GENUINE INJURY OR ACCIDENT PREVENTING YOUR ATTENDANCE. YOU MUST EMAIL PROOF OF THIS. Please open, fill & sign, save & email. As a student of the natural Loctician Certificate Course, whether you studied online or at a live training you will get personal support! Please click on the PDF below to see the full array of support you will get.